Looking for a savory ground beef recipe that’s full of flavor, easy to make, low carb, and melt-in-your-mouth delicious? 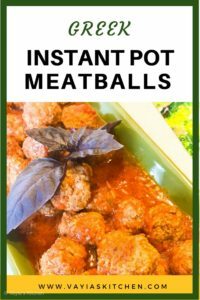 Then you have to try my Instant Pot Greek Meatballs! 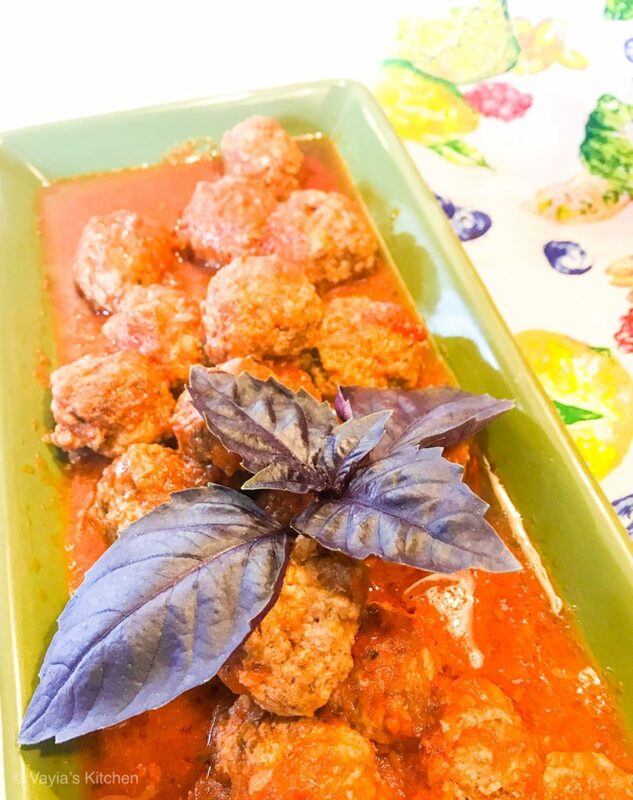 Greek Meatballs are a delicious take on the more commonly known Italian-style meatballs. The difference is in the seasoning. Greek Meatballs are seasoned with onion, garlic, oregano and (wait for it!) cinnamon! 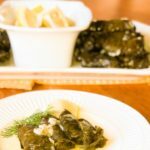 The addition of cinnamon in savory cooking is common in Greece. 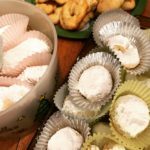 For more information on the history of cinnamon in Greek cooking, check out this article from GreekBoston.com. 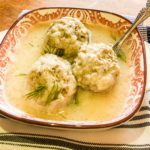 Everyone in my family enjoys the taste of cinnamon and I’ve used it in several of my recipes — Ground Beef and Orzo, and Instant Pot Karpathian Beef Stew (recipe coming soon!). 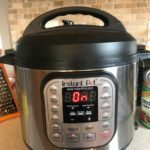 Not too long ago, I found a great sale on an Instant Pot through Amazon and scooped it up. Here’s a link if you want to get one, too. I’ve always been a big fan of my slow cooker, but sometimes (okay, often times) I forget to set the dang thing up in the morning and then I don’t have the eight hours needed to cook a meal. 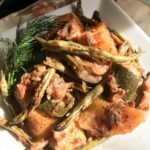 The Instant Pot was made for people like me! 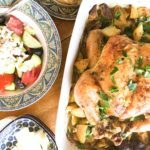 Most dishes, especially stews and meats that require low and slow cooking, can only be accomplished by cooking in a slow cooker, or, the traditional way of simmering (or braising) over a low fire on the stove. With an Instant Pot, you can still make beef stew at the end of the day and have it on the table in 45 minutes! 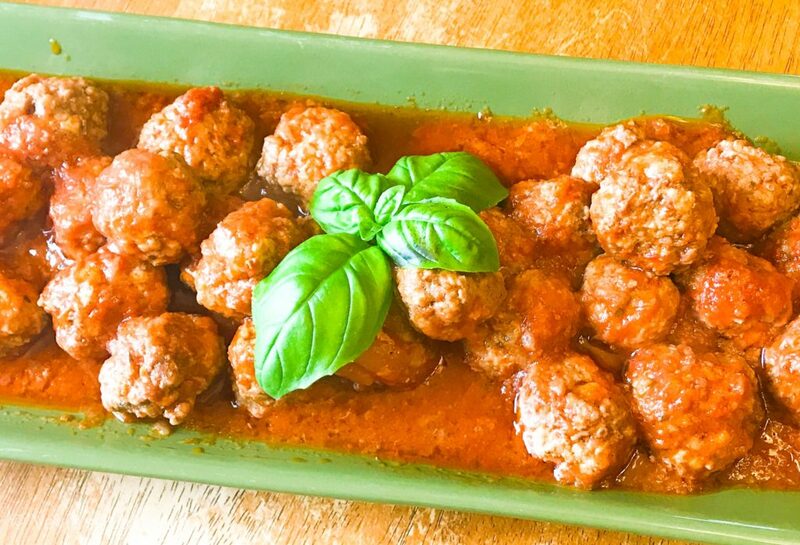 These Instant Pot Greek Meatballs are ready in just 30 minutes. Plus, there’s only one pot to wash! 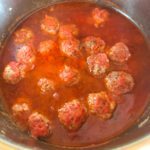 Instant Pot Greek Meatballs are perfect for a weeknight meal, a potluck dinner, a party appetizer, or just anytime you are in the mood for meatballs. 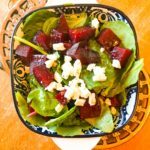 They go great of course with spaghetti, but they also make a great solo dish with a tossed green salad or on top of riced cauliflower or rice pilaf. 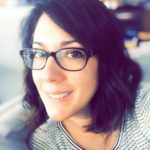 In the market for an Instant Pot, shop Amazon using this link! 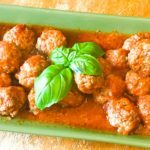 If you’re looking for a low carb meatball recipe, this one is it! I try not to use breading in any of my meatball or meatloaf recipes and this one is no exception. 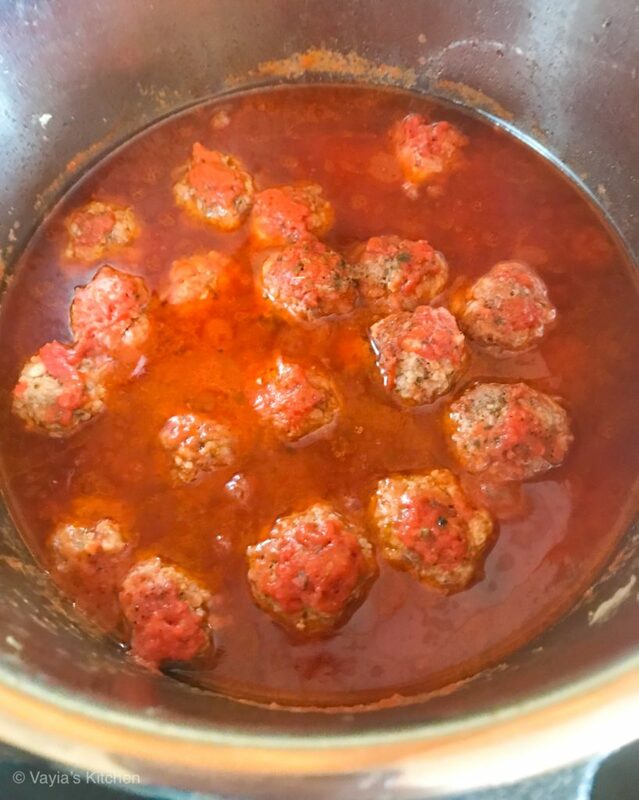 I find that the grated onion and tomato sauce gives this dish the moisture it needs to keep the meatballs from drying out and keeps the carb count down. 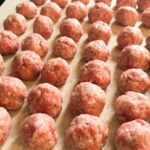 1.5 lbs of Ground Veal, Beef, Turkey or Meatball Mix (For this recipe, I used ground veal and ground sirloin). Prepare the Instant Pot by turning it on and hitting the saute button. Drizzle a tablespoon of olive oil in the bottom to coat the pan. It’s ready when the HOT message is displayed. In a large bowl, mix all ingredients together except for the crushed tomato. 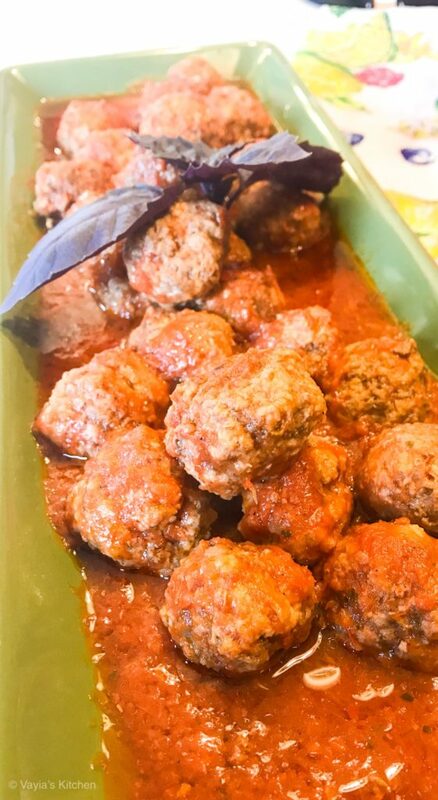 Form meatballs place on a sheet pan. Drop one by one into the pot. It’s okay for the meatballs to touch. They will not stick together! Add 3 cups tomato, and sprinkle with salt and pepper. Cover securely and check be sure that the steam valve is in the closed position. 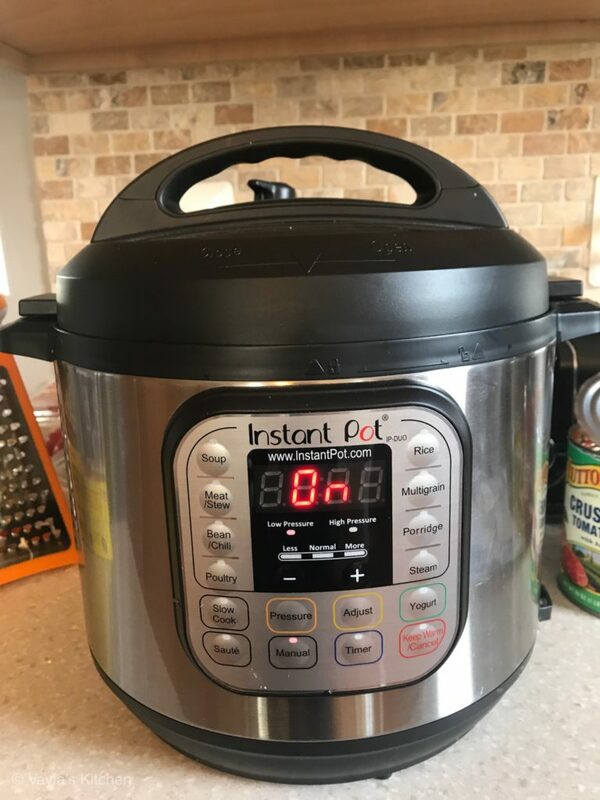 Set your Instant Pot to Low Pressure for 10 minutes. Let the steam release naturally. Next, once all the steam has released, unlock the lid and test the seasoning. Add more salt and pepper as needed. Test for doneness by cutting into a meatball to check if it’s cooked to your liking. If they aren’t ready, cook for another 5 minutes on Low Pressure and test again. 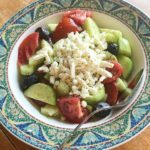 Sprinkle with Parmesan cheese and serve with your choice of spaghetti, rice, zucchini noodles or alone with a side of tossed garden salad. P.S. Have you tried my Easy Turkey Meatloaf recipe? Try it now! 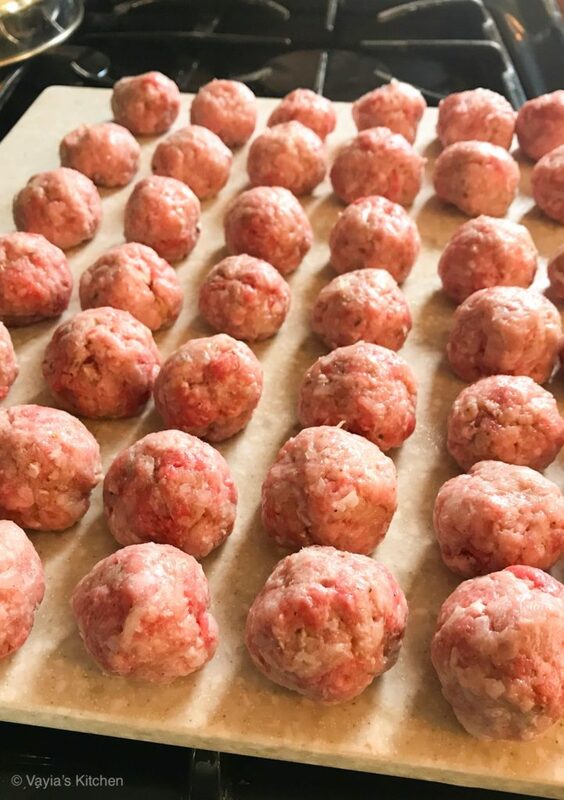 1.5 lbs of Ground Veal Beef, Turkey or Meatball Mix (For this recipe, I used ground veal and ground sirloin). Prepare the Instant Pot by turning it on and hitting the saute button. 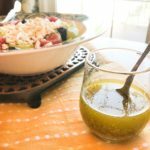 Drizzle a tablespoon of olive oil in the bottom to coat the pan. It's ready when the HOT message is displayed. Drop one by one into the pot. It's okay for the meatballs to touch. They will not stick together! Add 3 cups tomato, and sprinkle with salt and pepper. Test for doneness by cutting into a meatball to check if it's cooked to your liking. If they aren't ready, cook for another 5 minutes on Low Pressure and test again.